First Friday is a monthly celebration of arts and culture in the Southside Shopping and Arts District of Bethlehem. Peruse the art galleries, unique boutiques, salons and shops, while enjoying food and wine samples, live music, and special deals. 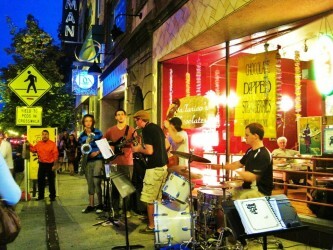 Enjoy happy hour, or grab dinner at one of the downtown restaurants for a full evening of fun. The next First Friday falls on July 5, from 6-10 p.m. For more information, click here.